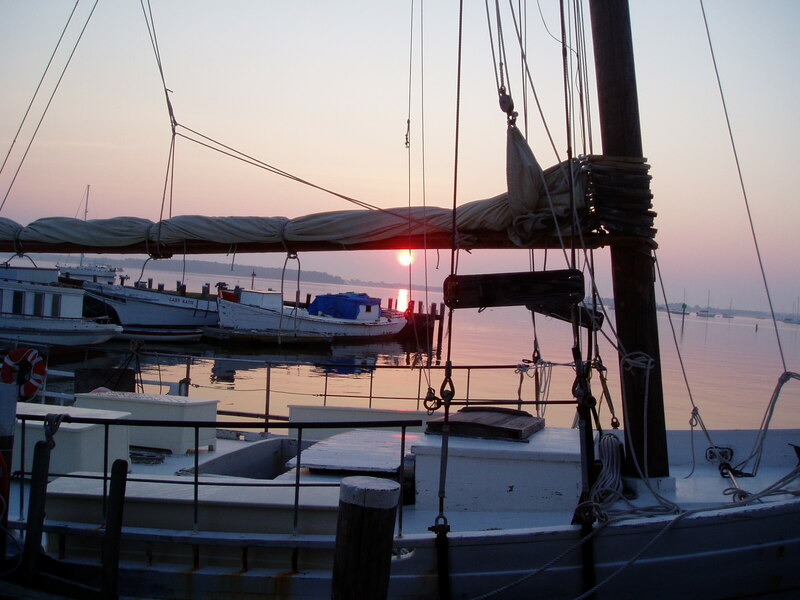 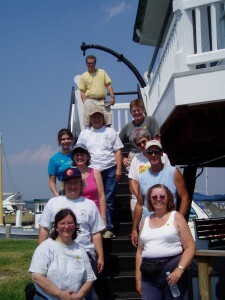 Workday: Hooper Strait Lighthouse July 2007 – Chesapeake Chapter U.S.L.H.S. 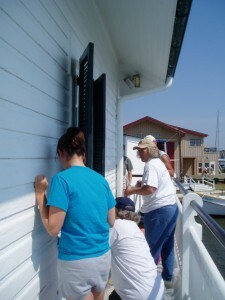 Our volunteers showed up at the Chesapeake Bay Maritime Museum on a typical hot summer day and painted two sides of the picturesque Hooper Strait Lighthouse. 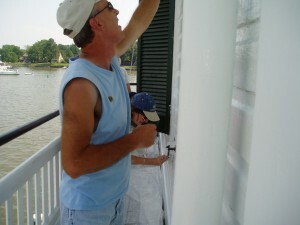 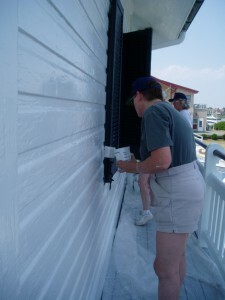 With a good size work crew we were also able to paint the railings around the cupola. 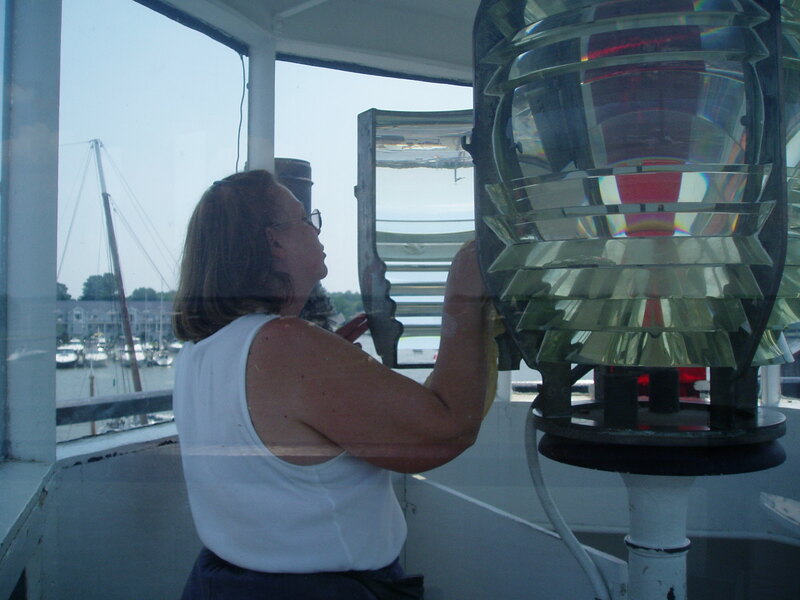 We also took time to do a little bit of lens cleaning on their wonderful Fresnel lens. Jeff painting one side of the lighthouse. Early morning shot of sunrise from Hooper Strait Lighthouse. 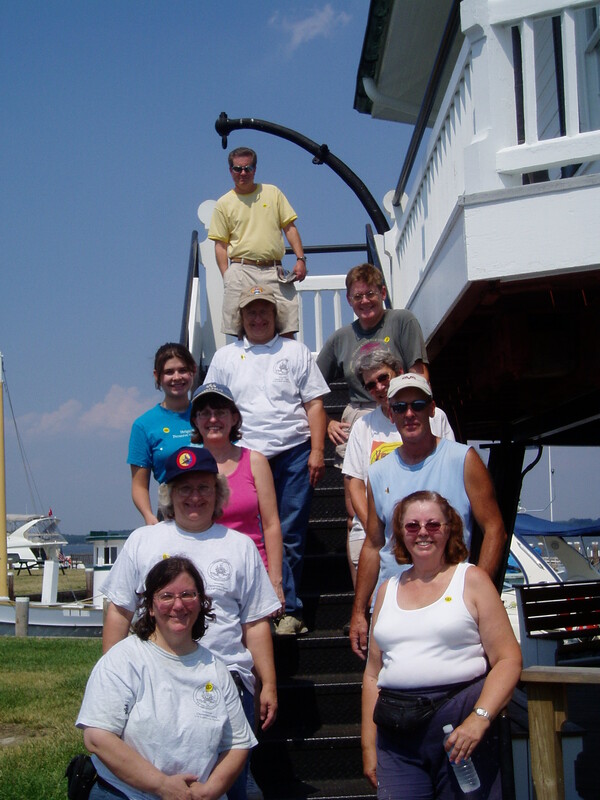 One of the volunteer perks!